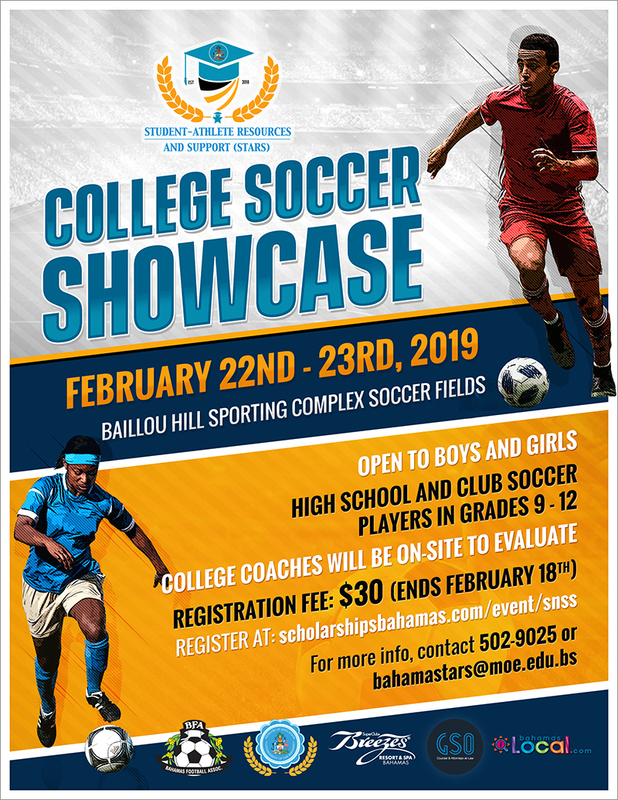 For more information, contact 242-502-9025 or email bahamastars@moe.edu.bs. by college level coaches. We will have multiple coaches from the NAIA, and NJCAA levels. Players will leave the camp with a better understanding of the recruitment process and be provided with a personal evaluation upon request. Select players will be offered scholarships from institutions in attendance. Each player will receive 2 hours of college level training followed by a minimum of three games. Lunch is included with the price. Participants will take part in 30 minute games. 15 minutes will be played in each half with a 1 minute halftime.